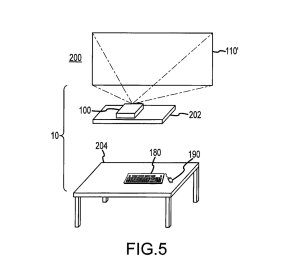 One could get lost in the sea of Apple patents, the possibilities of what may or may not fill our future or at least be eventually found under our future Christmas trees. It really is a strange look into the world of what could be and possibly where the future of technology trends may lie or die. 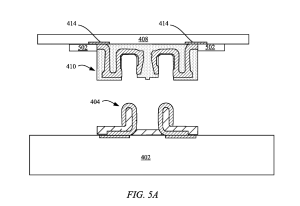 Aside from new, possibly ground-breaking tech gadgets, Apple has patented some technical advances that would add delight to the current state of electronics. 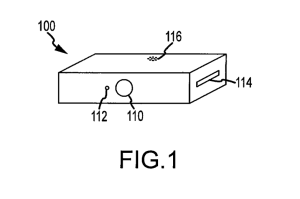 Apple has filed several patents that change the power of their products. Apple is ready to harvest the sun’s energy and incorporate solar cells into portable devices that will turn ambient light into power for these devices that include wireless accessories to Apple computers (mouse, trackpad, possibly cellular phones). This patent was published in July. 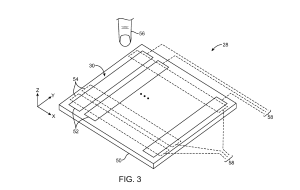 They had previously filed a patent in 2014 for a laptop style device to have photovoltaic cells on its back side. 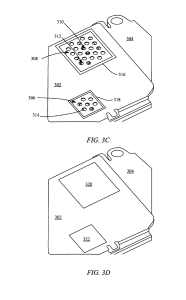 However this patent is not limited to the computer but also refers to cellular phones, tablets and more. 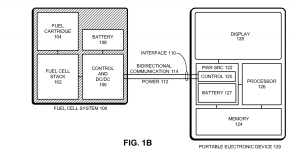 Contrary to their solar endeavors, Patent #20150249280A1 describes a portable fuel cell system pack that would convert fuel (in some cases sodium borohydride and water), to electricity. It appears as though this will be an external source that may have a fuel cartridge (there are many possibilities of the “embodiments” of the device). What is special about this is that it uses a fuel cell stack to convert the fuel to an electrical current. There is also mention of some sort of wireless communication between the fuel cell charger and the electronic device. In a possible effort to save the world rice supply, Apple has filed a patent that seeks to increase the water resistance of electronic components in its devices, making them less prone to water damage. Here are some ways they hope to accomplish this. The hydrophobic coating would be extremely thin, around 0.0001 – .001 centimeters in thickness. Applying these coatings is a whole process, depending on the part they are adding it on to. The patent explains using a vacuum chamber in some instances or a PACVD process where the coating itself is charged in order to attach on to the charged surface. In these images, I believe these holes in the EMI shield offer a way for the coating to reach the PCB board that the shield is covering. Apple really seems to be moving more into the direction of wearables. 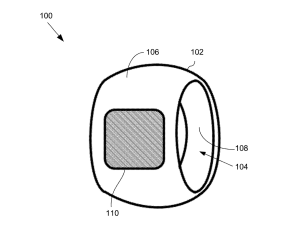 Filed on April 1, 2015, U.S. Patent 20150277559, a filed patent was filed for a digital ring device to be worn on one finger and receive input from a second finger, with the ability to interact with an external electronic device. This appears to be an update from an earlier version filed a year before. Perhaps this means that they are getting closer to making this reality. Such methods and interfaces reduce the cognitive burden on a user and produce a more efficient human-machine interface. 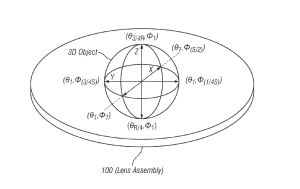 Using beams and microlenses, Apple proposes the possibility of an interactive holographic experience in a patent from 2014 (but initially filed in 2011). 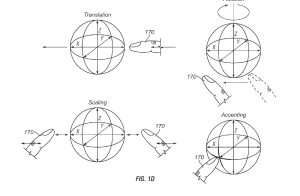 Optical sensors would be used to detect where in the location of the beams the finger of the user is located at any given point, triggering interaction between the person and the device. 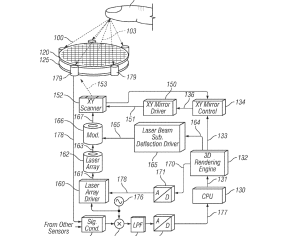 And the user is then able to interact with this 3D hologram. This technology would be used anywhere from an iPod-like device to a cell phone or computer. 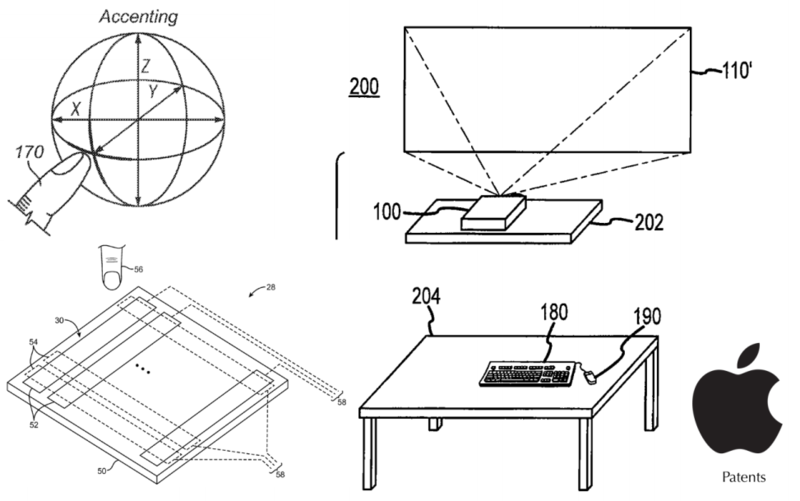 Featuring hyper “smart projector,” this Apple patent aims for a virtually wire-free computer system. There may be an iteration where the projector-computer has a single power cord or is run wireless by either a battery or inductive wireless charging. 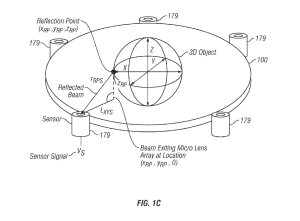 Sensors inside the projector will allow it to make auto-adjustments to the images based on the proximity of the projected space (proximity sensor) and the orientation (accelerometer). There could also be color correction and image correction based on the texture and curvature of the surface it is being projected onto. It would do well with processing raw data, not just programmed input. The color system will be based on a 6-color system. Computer monitor LCD screens generally have a 3-color system. This patent goes back as far as 2008, updated in 2013. We have yet to see this but it doesn’t see too far fetched. There was also mention of a floppy disk drive in the text.